What does mean from . import? How to Visualise predictions made in one python file using a tkinter GUI? Make a colorbar for RGB data? I would like to know what I am importing when I type that. Mainly i need help in second part i.e. extraction of parameters from CameraInfo and Image msgs. However if someone can help me to sort out body of this whole code! I am already through making up my own CameraInfo and rgb messages, using them for undistortion and publishing on ROS by but now i want to get them from another ROS module and work with them. Generators behave differently in python2 and python3 for the code below. Why does this happen? python3 behaviour is desired. Can this be achieved in python2? I have a scenario where I made some predictions on a particular dataset. 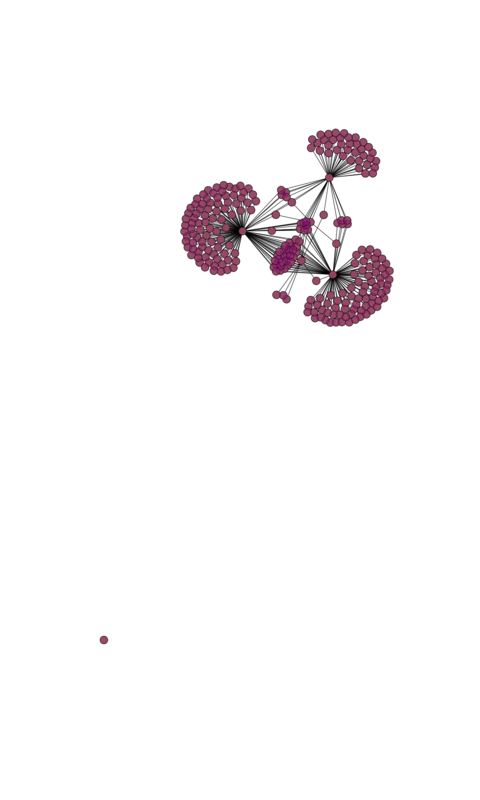 Now I want to visualise those predicted graphs using Tkinter. Can anyone please help me in doing the same. Now I wanted to show the predictions on the Tkinter GUI and when I press the predict button in the GUI, it's calling the python file, but instead of visualizing the graphs in the GUI one after the other, it's opening those graphs in separate files. So, can anyone please help me to rectify this. How do I use matplotlib.animation.FuncAnimation to animate more than one plt.figure? I've been trying to animate two separate figures so I can display a parking space in figure 1 and moving car agent in figure 2.
and at the bottom, I have implemented an animate() function to display and animate both figures at once. And I'm calling plt_show() at the main() function. I thought the code above would display two separate figures being animated according to how I have defined them. However, only figure 2 is being shown while figure 1 is just showing blank figure. Is it possible that figure 1 is being overdrawn by figure 2? Or is the problem somewhere else within the code? Even though am using node draw_networkx_nodes with list of nodes and respective color - those settings don't get applied. I am trying to display text on the screen and it's not working for me. I am unable to create the canvas to upload the file on the server. I am doing something LIKE THE code is shown below. please help. I want to take a screenshot of my page and put the result into a bitmap, Because there is a scrollbar on the page, i have to take several screenshots, and i want to merge those bitmaps. if i copied it directly it would result in the first image being used, and i white rectangle for the second. so i tried to change it a little bit, and now i'm getting both images in one file. I got data that is made based on a 3 channels, which are red in as RGB, this means that the color bar would have to circle between all 3 colors to show all possible shades Is there a simple way of doing this? Here is an example. 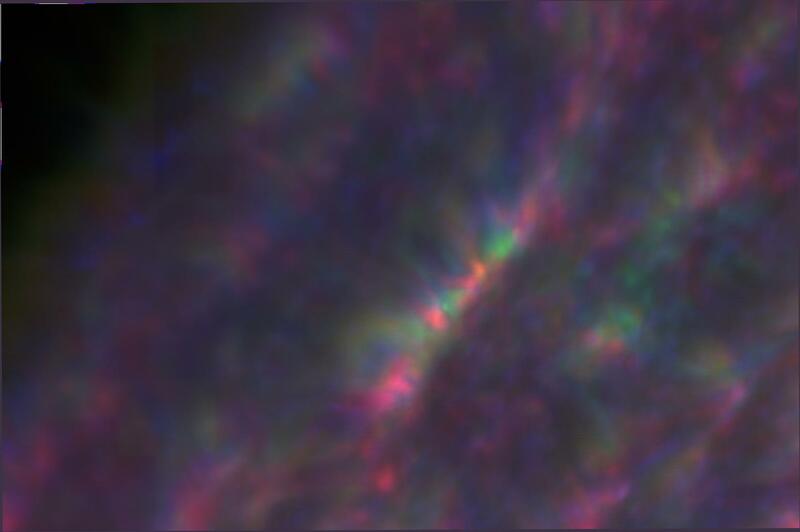 Red is left enhanced, blue right enhanced and green centrally enhanced. (it is looking at spectral features.) This means that Red+Blue (= Purple) would be right and central enhanced and weak in left. etc. I need a way to show that properly with a colorbar of sorts. I'm trying to plot an asymmetric color range in a scatter plot. I want the colors to be a fair representation of the intensity using a diverging color map. I am having trouble changing the color bar to represent this. 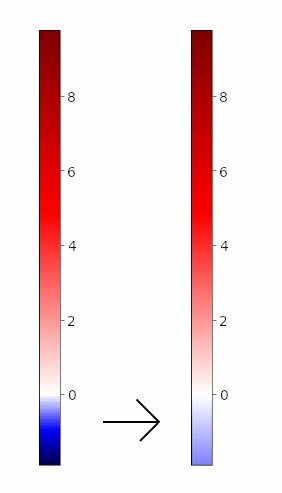 For instance, I want to plot x-y data with range [-2, 10] in a scatter plot such that the color bar only shows the range -2 to 10 with neutral color at 0, but the 'intensity' at -2 and 2 are the same. I've tried using ColorMap Normalization and truncating the color map, but it seems I need some combination of the two that I can't figure out. I can get the colorbar centered at 0, but the intensities are unfair. i.e. The intensity at -2 is much darker that at +2. The problem I've been having with truncating the color map, is I don't know where the fair place to truncate it is. 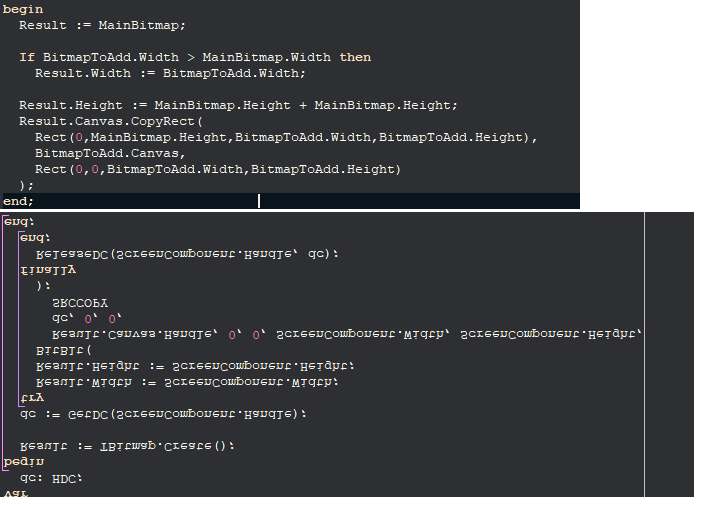 I'm trying to add a small colorbar to these subplots, but I'm having trouble with the right syntax for the code. I thought that plt.colorbar was the right line of code for this, but I am getting a blank bar instead of something that shows the colors of the map.